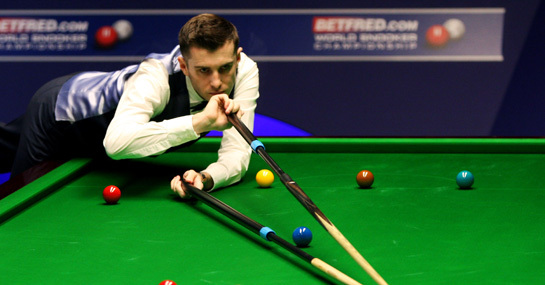 The second day of the UK Championship sees some big names take to the baize with World No.1 Mark Selby and three-times World Champion Ronnie O’Sullivan all starting their assault in York. The previous two meetings between these players have seen one win apiece and this promises to be a tight affair. However, Bingham won the Australian Open earlier this year and made it to the quarter finals in this event last year. Backing Bingham to see off Fu looks a tempting bet. Selby may be the joint 6/1 favourite with O’Sullivan but this is a tough test for the World No.1 whose best performance in the tournament came in a semi-final appearance all the way back in 2007. He crashed out in the last 16 last year to Stephen Maguire but should have too much for Day who has had a disappointing season. However, if you fancy a shock then the Welshman can be backed at 3/1 to progress. O’Sullivan has once again been in the headlines for getting more in appearance money than the winner at last month’s Power Snooker event but he should get the column inches for the right reasons this Sunday. O’Sullivan has won five of his seven encounters against Davis and looks a banker. If you like your odds a little longer though, then backing Davis to push O’Sullivan pretty hard and lose 6/3 could be worth a bet at 7/2. World No.8 Carter faces World No.37 Milkins and this should be every bit as one-sided as the odds suggest. It’s been a pretty disappointing year for Carter who is without a win in 2011 but he should sweep past Milkins at 1/3. The 2011 Player Tour Championship Grand Finals runner-up, Gould, should have no problems in his opening game against Lines who has had a disappointing season.